If there is one thing in this crazy life you can count on, it&apos;s that each season designer Louis Wong and A.P.C. work together, they deliver a flawless range of gear. For Spring/Summer 2016, they present "The Club Kids Society," an impressive collection that fuses the look of sports clubs and night clubs. Like previous seasons, the selection of outerwear is the bread and butter of the collection. This time around, each of the eight styles are a nod to old school sportswear, with pieces like the sleek navy satin Tim bomber taking cues from a baseball uniform and a stone-washed denim Walter bomber that is reminiscent of sailing apparel. 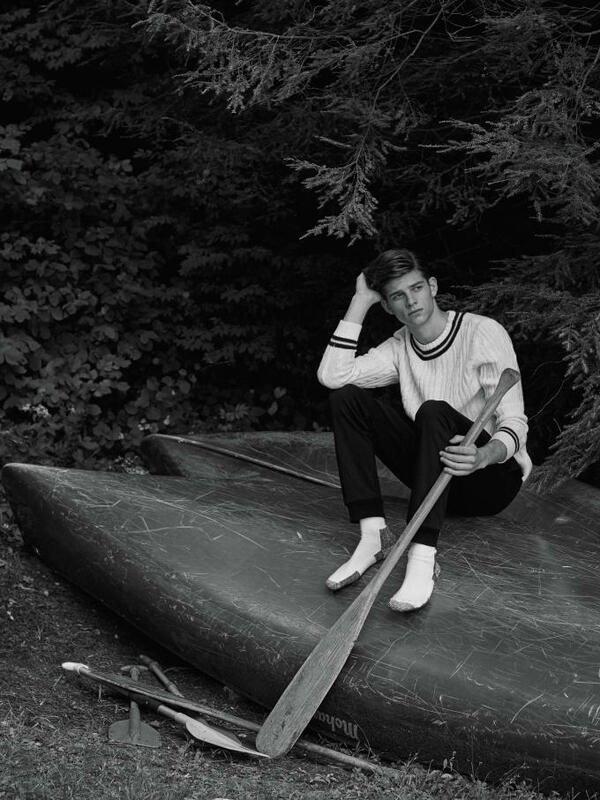 The collaboration also adds some new silhouettes to their growing knit offering with a crew neck cable sweater inspired by traditional cricket uniforms with a trademark decoration around the neck opening. You can check out the lookbook images below; as you can see, the clothes are so fire that wearing shoes isn&apos;t even necessary. To shop the collection, head over to A.P.C.&apos;s webstore.